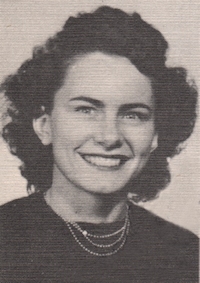 Obituary – Wiehe, Charldean (Milliron) « Perry High School Alumni Association, Inc.
﻿Red Hots ’44-’47; Cheer Leader of Red Hots ’46’47; Perryscope ’46-’47; Y-Teens ’46-’47; Class Sec. ’44-’45; Annual Attendant ’46-’47. Charldean Milliron was born February 24, 1930 in Perry, OK to Leo G. & Elsie Cowell Milliron. 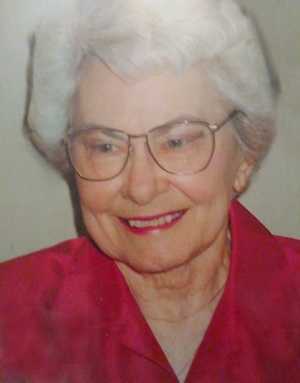 She passed from this life Tuesday, August 25, 2015 in Tulsa at the age of 85. Charldean graduated from Perry High School in 1947 and married Ben A. Wiehe Jr January 1, 1949. She worked as a teacher’s aide, accounting secretary, and registrar at Tulsa Public Schools for 30 years. She was an active member of the Masonic Order of the Eastern Star for 50 years and served as Past Worthy Matron, as well as many other stations. She also served as a Grand Representative for the state of Oklahoma. She was devoted to her husband of 52 years, children, grandchildren, and great-grandchildren. She was preceded in death by her husband Ben A. Wiehe, Jr. in 2001, her son Fred C. Wiehe in 2000, and one great-grandchild Caleb Campbell. Charldean is survived by daughter Benita Duncan and husband Kit, daughter Marilyn Wells and husband Rick, son Carl Wiehe, Sr. and wife Judy, Grandchildren Jennifer Carroll, Ryan Nowlin, Heather Wiehe, Carl Wiehe, Jr., Elizabeth Wiehe, and Marick Wells. She has 12 great-grandchildren.